Yuna has released yet another music video for a song straight from her latest album, “Chapters”. Titled “Lanes”, the song is about heartbreak and seems to reflect Yuna’s past relationship. “It's a story about what heartbreak looks like. It's revealed in the end what it was that broke my heart. It's also a reflection of my past relationship,” Yuna told Elle US. 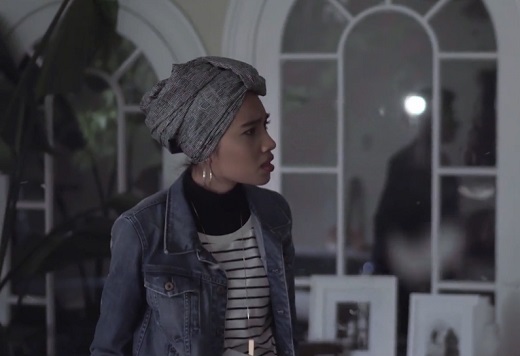 Directed by Brian Oh, the music video was shot in a unique reverse style where Yuna shows you how a broken relationship looks like and why it happens. “Brian Oh and I had to piece every moment in a reverse timeline which was very challenging. It's easy to tell a story in normal timeline, but in reverse, you have to make sure visually it looks beautiful and Brian captured all the movements, and emotions in reverse beautifully,” Yuna added. The video received nothing but high praises from the internet due to the simplicity of it and the message it conveyed. This is the third music video from the new album, released after “Places to Go” and “Crush”. Yuna’s past relationships include Malaysian personality, Qushairi Razali which ended in early 2012 and more recently, Julian Schratter an American photographer and model who also appeared in her “I Wanna Go” music video. The pair broke up in late 2014.